One of my favorite times to take photos is during the 'golden hour' - the last hour of light before the sun sets. On the day this photo was taken last summer, I noticed a chink of blue sky which I guessed would last about twenty minutes before more clouds covered it and it finally disappeared on the horizon. Lucy and I quickly jumped into the car and drove to a field (it's one which I like for its open vista) about a mile away (there was no time to walk!). 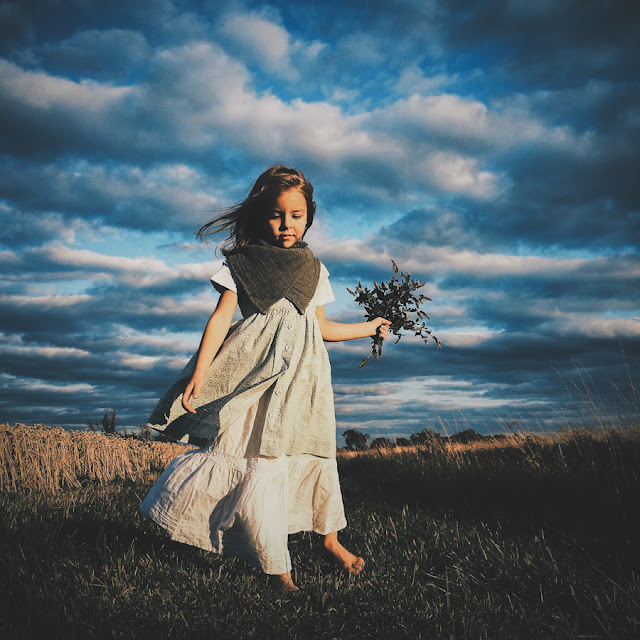 I highlighted a spot where the light was falling particularly well onto the grass and asked Lucy to stand there with some flowers she had thoughtfully, if somewhat hastily, picked as we got out of the car. As it was quite windy, I had grabbed clothing which I knew would move in the breeze to create a more dynamic image. Since we live in England, the weather is extremely unpredictable - chasing the light and seizing that moment is very important to me. Here is the result, processed using VSCO Cam. I love that Lucy is always up for an adventure with me, and the photo typifies this - the less planned things are, the more exciting she seems to find it; I hope she will always enjoy living in the moment with me in this way. 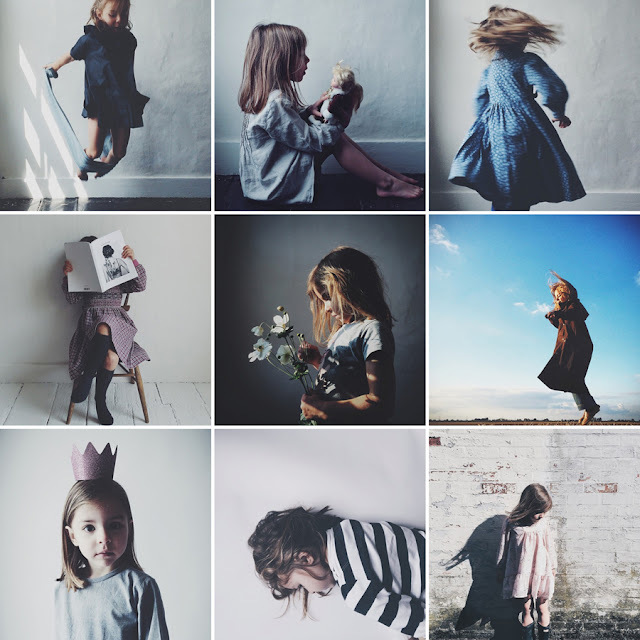 You can see more of Ali Dover's lovely iphone photography on her vsco grid or her instagram feed @ali_dover .